When we find a litter of kittens, our good-hearted instincts tell us to rush to the aid of these fragile felines. Thankfully, human intervention is typically not required. “For so long, we thought bringing cats to shelters was the best way to help them, but we now realize that most of the time, we can actually help them better by leaving them where they are. Lost cats are more likely to get home, kittens are more likely to grow up healthy and happy, and community cats are more likely to thrive (and less likely to cause problems) when we help them in the community where we find them rather than bringing them to a shelter. All Sunday clinics have been sponsored and spay/neuter will be FREE for all Sacramento County feral/community cats at these clinics through 2019! An appointment is required. 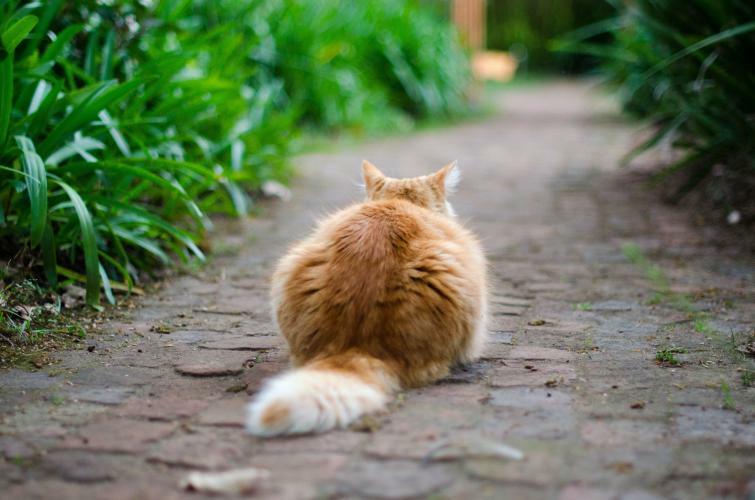 The American Society for the Prevention of Cruelty to Animals (ASPCA) estimates that there are tens of millions of community cats roaming throughout the country. Our region is home to a countless number of these cats. Community cats are cats that are born and raised in the wild or have been abandoned or lost and turned to wild ways to survive. Community cats typically live in a colony which occupies a specific territory where food and shelter can be found. 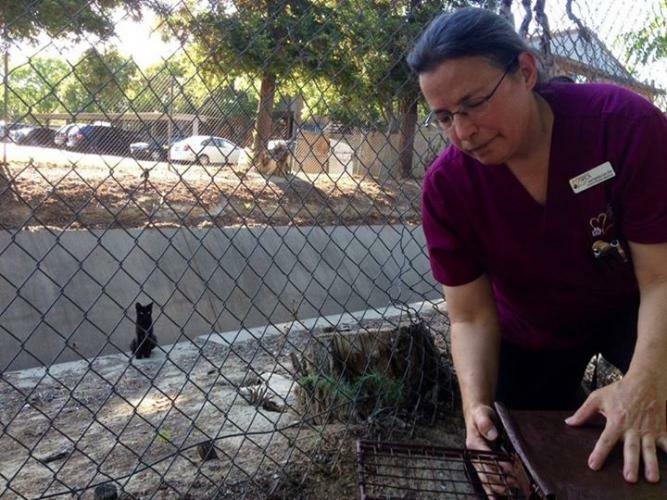 The Sacramento SPCA is now operating a feral cat trap loan program. The purpose of this program is to loan traps to individuals who participate in TNR (Trap, Neuter and Return). 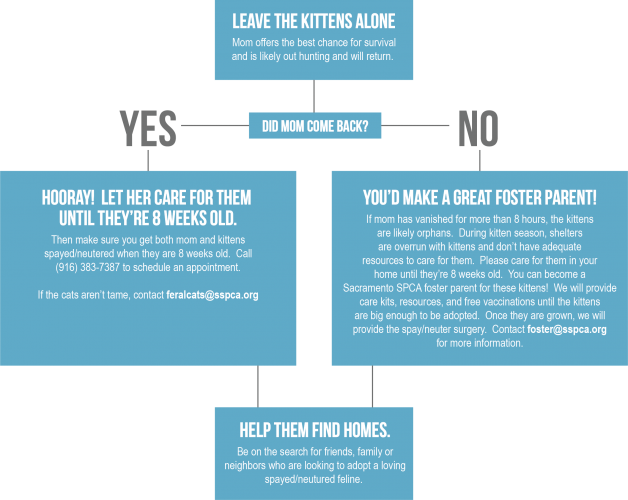 We encourage you to trap, neuter and return cats to their home colonies in order to reduce cat overpopulation. We require an $80 check deposit per trap, which is held until the trap is returned to the Sacramento SPCA.